The Cross House by Charles. W. Squires. 1894: Harrison and Susan Cross build the Cross House, which was completed in March. The couple had occupied a house previously on the site, which they had relocated to 624 Cottonwood (no longer extant). While the Cross House was being built the couple occupied a house just to the south of the site (516 Union; extant). In September, 1894, Mr. Cross died (six months after the Cross House was finished). 1902: Mrs. Cross dies. The Cross House, by the terms of her will, is deeded to Fred Newman, acting as a trustee for Mary Cross (b. 1885), the granddaughter of Harrison and Susan Cross. 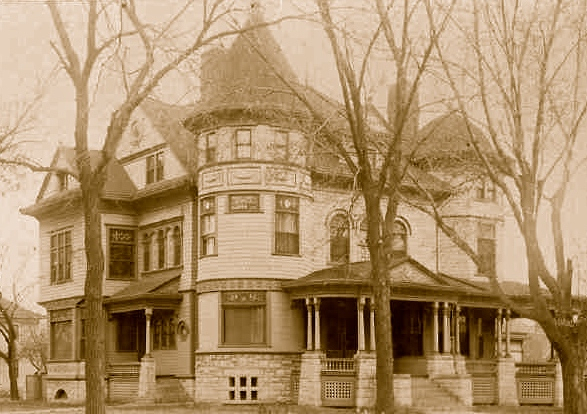 1907: Newman sells the Cross House. 1907 – 1909: Isaac and Hattie Lambert. Hattie died in 1907, and Isaac later married Milson Cutler. In 1909, Isaac died in the Copeland Hotel fire, Topeka, Kansas. 1909- 1915: William M. Meffert. 1915 – 1928: Emma Gross, a widow, and Vesta Gross, a single person, purchased the three lots (82, 84, and 86) which the Cross House was built and adjacent carriage house. Later, they sold the Cross House (lots 84 and 86), and later released 6-feet of the south side of lot 84, presumably to increase the width of lot 82 (occupied by the carriage house). It is not know when lot 82 was sold off, and it vanishes from the Cross House history until 2002. The Cross House then went through a succession of owners and uses including a stint as the Elms Tea Room open to the public. 1929: Scout Mouse, Sr., purchased the house, and converted it into apartments. 1950: Scout Mouse, Jr., converted the house into the Palace Motel. 1960: The house was purchased by Frank and Esther Toms, and used as a fraternity, boarding house, etc. 1993: The house was purchased by Harry W. Thompson. 1999: The house, now boarded up and surrounded by a six-foot-high chain-link fence, was purchased by Debbi and Bob Rodak, and converted back into a single-family home. 2002: The Rodak’s were able to reaquire the carriage house, separated from the Cross House for a century. 2011: Bob Rodak successfully had the Cross House placed on the National Register of Historic Places. 2014: The Cross House, and carriage house, were purchased by Ross MacTaggart. Harrison C. Cross. Sadly, I cannot find an image of Susan Cross. Image courtesy of the Lyon County Historical Society. Charles S. Cross, the only child of Susan and Harrison Cross. Image courtesy of the Lyon County Historical Society. Died 05 Sep 1894 – OUR CITY MOURNS. Another of Emporia’s Pioneer and Ablest Men Passes Away. Col. H. C. Cross Dies Suddenly at Mackinac Island – An Irreparable Loss. A Life Full of Honors and Good Work Comes to An End – Sketch of Col. Cross. Another of the men who have made Kansas great, who have lived lives, which have done good for the world and their fellow men has passed away. In the death of Col. Cross the city of Emporia and the state of Kansas have suffered a loss which is irreparable. He was a man of the highest personal character, full of the energy of an active life, a lawyer and business man of ability, posessing great powers as an executive and impressing every one with the sincerity of his purpose, purity of his integrity and strength of his ability. In the searchlight of a career which brought him before the public, no blot marred his escutcheon. As an industrious and capable attorney, then as a patriot soldier and commander, afterwards as president of a great financial institution and manager of a large railway system, he always displayed the powers which all admire and which distinguish a leader of men. The citizens at his home are saddened and their hearts heavy with sorrow. They mourn the departure of the strong man upon whom the community could lean. His memory will remain and abide with us as a sacred monument to the noble qualities he possessed, and which his nature displayed. The blow has fallen with crushing suddenness upon the loved and loving wife and son. Today the sympathy of their neighbors and freinds comes to them in the hour of darkness and bereavement. Mr. Hayes is father of the proprietor of the Grand hotel and had become a personal friend of Col. Cross during his stay there. A later telegram from Mr. Hayes gave the details of the death more full. Col. Cross was taken ill last night at 10 o’clock. A physician was called and all that medical skill could do was invoked but in vain. Death came at 11:15, the cause being heart failure. The strongest applicances for stimulating the action of the heart were used but to no effect. This afternoon another telegram from Mr. Hayes announced that in accordance wih instructions, the mortal remains of Col. Cross would leave Mackinac this afternoon, arriving in Chicago tomorrow morning. For several years Col. Cross himself and family and friends had feared the approach of the dread disease. The sudden death of Captain Warren last year greatly affected the Colonel and he has several times remarked that he expected to go the same way. But his general health was excellent and the summer trip was only inspired by a desire for the comfort and coolness of the lakes. Mr Howard Dunlap was at Mackinac Island Sunday and was with Col. Cross during the day. In the evening when Mr and Mrs. Dunlap went to the boat to begin their journey home, Col. Cross accompanied them to the boat and talked with them until the time came to start. The Colonel was apparently in the best of health, and was rejoicing in a joking way over the fact that he had reduced his weight six pounds in a few weeks. Col. Cross and Captain Heritage had been together but last week Captian Heritage took a trip to the southern part of the lakes. Mrs. Cross did not accompany the colonel on the trip and was at home when the crushing news came this morning. She is bearing up remarkably well. One of the strange coincidences of life is the death of Geo. A. Eddy, of heart failure. Mr Eddy was receiver for the M.K. & T, with Col. Cross and for three years they worked together for the upbuilding of that road. Their death, probably within the same 24 hours, and both of heart failure, is a very remakable coincidence. The remains will be met at Kansas City, or between Kansas City and Chicago, by a commitee of the Knights Templars, who are to have charge of the last services. They are expected to arrive in Emporia Saturday afternoon, in which case the funeral will be held Sunday morning. Harrison Cory Cross was born April 17, 1835 in Mad River township, Clark County, Ohio. Died on Mackinac Island, Sepember 5, 1894. Parental grand parents were Scotch Irish Presbyterians, maternal grand parents were English. There are now living four brothers, of which H. C. Cross was the eldest, a half brother and half sister. H. C. Cross was raised on a farm until 13 years old, at which time he was sent to High Street Academy in Springfield, Ohio. From there to Granville College, now known as Dennison University. From there to Antioch College at Yellow Springs, Ohio, in the year 1853 and from there to Commercial College in Cleveland, Ohio, after which he entered his father’s service as book-keeper. During this time he spent his spare hours at the study of law, which profession he afterwards adopted in the year 1866. Was married June 4, 1857 to Miss Susan S. Southerland of Newton Falls, Ohio. From this marriage was born one child, Charles S. Cross, at present president of the First National bank of Emporia, Kan. He served during the war as captain of Company H. Ohio National Guards, afterwards entering active service as captain of Company F., 153 Ohio Volunteer Infantry. Was mustered out Sept. 9, 1864, at Camp Dennison, Ohio, on account of expiration of term of enlistment. On December 5, 1864 moved from Clark county, Ohio, to Marshalltown, Iowa, and from there to Emporia, Kansas, July 10, 1865, which place has been his residence ever since. First engaged in the live stock business, soon after entering upon the practice of law. Was also assistant United States revenue assessor for about one year for a territory covering what was known as southwestern Kansas. Continued in the practice of law until January 1, 1871, at which time in connection with Honorable William Martindale, Robert B. Hurst and others organized the Neosho Valley bank, which commenced business February 1, 1871, and on January 2, 1872, was reorganized as the First National Bank of Emporia, which institution has since continued in business, and of which he was president for twenty years, retiring in favor of his son. Was appointed a co-receiver of the M.K. & T.R.R. with George A. Eddy by Justice David J. Brewer, September 9, 1888, and continued as receiver until July 1, 1891. Was elected vice president of the same June 1, 1891, was elected president June 1, 1891. After closing of the receivership he was in active management of the railroad as president and general manager until June 1, 1892. 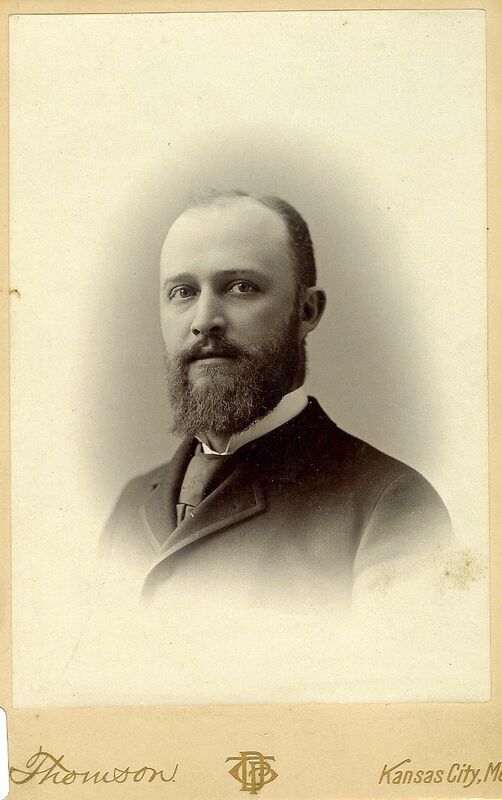 Was a director in said company from May 1874 until May, 1893, when he declined a re-election. Was president of the Kansas City, Emporia and Southwestern during its construction from Emporia to Ottowa, was president of the St. Louis, Emporia and Southwestern during its construction from Pleasanton to Leroy. The first named is now a part of the A T. & S.F. railway, the latter a part on the Missouri Pacific. At the time of his death was director of the First National Bank of Emporia, Kansas, also of Midland National Bank of Kansas City, Mo., and president of the Missouri and Kansas Coal and Land company. Since the closing of his railroad management he has not been engaged in any special business more than looking after his property interests and that of building a residence, which was completed about March 1, 1894. 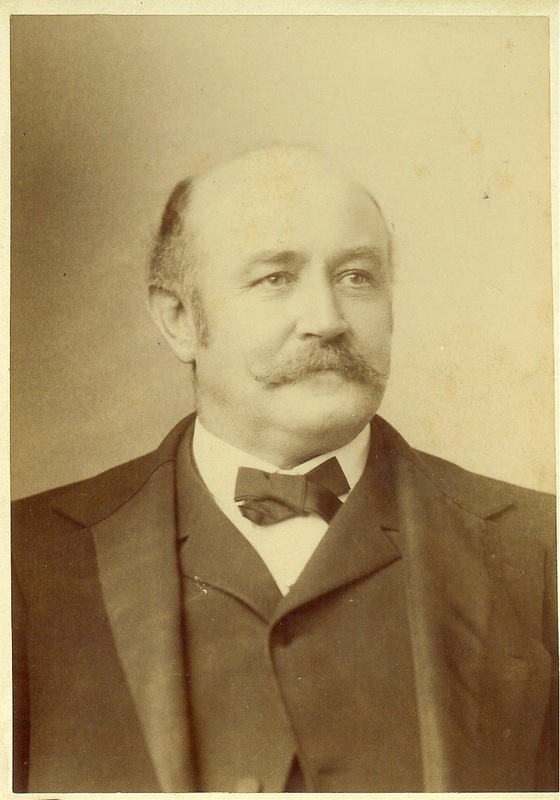 Col. Cross was a mayor of Emporia, chairman of the board of county commissioners, but always declined going further into political affairs, though taking an active interest. Love your house and am filled with admiration for what you’re doing. Best wishes in your restoration. I will be following you. Next time I pass through Emporia to get some Braums Ice Cream, I’ll have to come calling. ..and bring me, I hope, a double cone of cookie dough! Beautiful house. I am so happy that you are restoring. I lived in the old Reeble house for years. Beautiful house. We lived there and my parents ran the Palace Motel (We called it the Mouse Palace) because it was owned by Scott Mouse. At the time in was successful as I remember it. I was in the 2nd grade at the time and went to the school 1 block south. I may have some of my parents photos of the Mouse Palace. I will try to find them. I would like to see the inside the next time we are in Emporia…. I so appreciate the history and reconstruction of the Cross House that you have shared with us. My husband and I share a very similar story as yours. I was online looking for a residence for my brother-in-law when I came across a home built in 1901 and, telling by the relators pics, it was in need of a complete renovation. It is listed for $8,500 and I just had to see it. We met with the relator the next day and I am in LOVE with the home. My husband is, too. I feel we are Crazy, but we can’t stop thinking of it. It has the radiators, pocket doors (that won’t open), a couple of stained-glass windows (one needs repaired), three fireplaces (all in immaculate shape), and all the orginal woodwork has never been painted or covered with carpet. No forced heat or air has ever been installed. The plaster on the walls and ceilings are in bad shape, the electric, though once updated, my husband wants it updated again. It also needs a new roof. The attic in in excellent shape. Oh what a dream. We are in the process of a title search now. The downside is that we have no clue what we are doing. We have always appreciated old homes and I always secretly dreamed of living in one, but neither of us knows the first thing about anything when it comes to restoring it. Ever since I saw the home all I have done is research online about restoring it. Your blog has helped us more than you will ever know. Thank you so very much. Hopefully we will soon be the owners too. God Bless and I love everything you have done. Thank you for your comment! And I am breathless to learn if you get the house! Please please please forward an update! And I wanna see pictures! The house was and will be beautiful again. I’m sadden that Mr. Cross didn’t live long enough to see the house in all 4 seasons. It is so interesting to learn the long history of some of these houses. Thank you so much for researching and sharing this information about your project! The R. T. Davis house is catty cornered across the street from us. It’s called the Aunt Jemima house. He invented Aunt Jemima pancake mix. The mansion was built in 1883 and he died shortly after it was finished. There are a couple of sad stories like that in St. Joseph. Wonderful and amazing story! I loved the interview by Circa. Delightful and charming Rissand the amazing job restoring this treasure with so many original features intact. I just can’t get enough of this and I am going to continue to follow the progress. I have never been to Emporia but love 19th Century architectural treasures. Your home is glorious! I have a hobby of photographing historic homes and was driving through from Austin to Kansas City. I must have photographed 2 dozen homes yesterday and the Cross House was, by far, my favorite. You’re doing a fabulous job! Stunningly gorgeous house,!!! You do amazing work!! Love good crasftmenship and you picked the right house. We just bought a ca. 1862 farmhouse. How do you post photos. ? I lived in this house two times when it was converted to apartments. The first time was in 1974, the second was in 1979. I’m glad it has been restored. We drove through Emporia yesterday and I spied your house, took a photo and posted it to tge FB group, Mansions of the Gilded Age. Someone posted about your blog. Congratulations, the house is a gem! I am just getting into your blog. Looking forward to it.